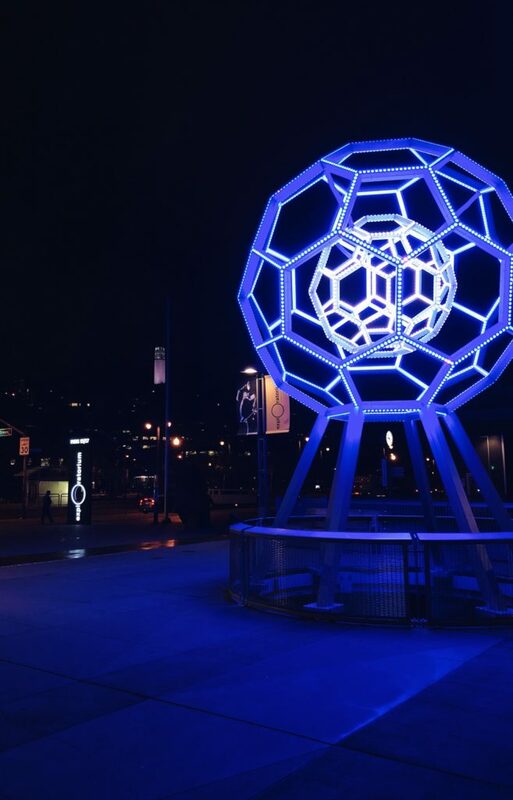 On Thursday nights, head to The Exploratorium for a special adults-only event. It’s been quite awhile since I visited The Exploratorium in San Francisco, so it was not only a treat to see their new location on the Embarcadero, but attend the After Dark Thursday Night event. Of course, the museum is always more fun with a friend! In the front of the museum, there is this unique water fountain. I definitely got squeamish taking a sip from the toilet! ^^Do you think you could take a sip? Throughout the museum, there were a lot of areas that are perfect for Instagram photos! We had a blast with this light installation. After playing inside in the museum for a bit, we stopped to get dinner at the SeaGlass Restaurant. I was surprised that there was an actual sushi chef in the restaurant! This spicy tuna roll hit the spot. But one of the exhibits that must not be missed is inside the Tactile Dome. We had no idea what to expect inside this interactive excursion through COMPLETE DARKNESS. While inside the dome, you crawl, bump, and slide your way around. I am not going to give away any spoilers, but make sure you make reservations to experience this exhibit! Next time you need an idea for a date night or a work happy hour, think of The Exploratorium After Dark events! Oh my gosh this looks like so much fun! It did not look appetizing! I love after dark events like this, it feels like you’re visiting a new place when there’s no crowds and you don’t have to battle to see exhibits or take fun pictures. Also super handy if you get anxiety from busy places- I wish more attractions would take note! It was definitely more exciting at night! That’s such a great idea to host nights with a limited amount of people! LOL, I think it fits more in your house than a museum! That was a fun adventure! Would love to visit the place too. If you are in San Francisco, it’s a must!